All Willie Nelson items listed below are authentic and very limited. We do not carry multiple items. All prices and availability are subject to change. All prices include shipping and handling for all USA customers. All other destinations will require actual shipping cost to complete transaction. Have a question? Ask us before purchasing the item. Thank You. 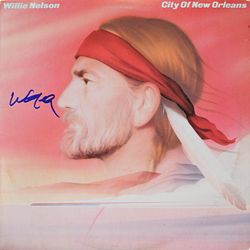 Description: Willie Nelson City Of New Orleans LP. 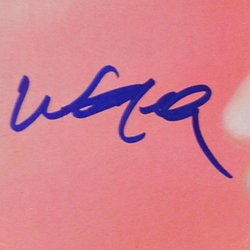 Signed by Willie Nelson in blue sharpie pens. 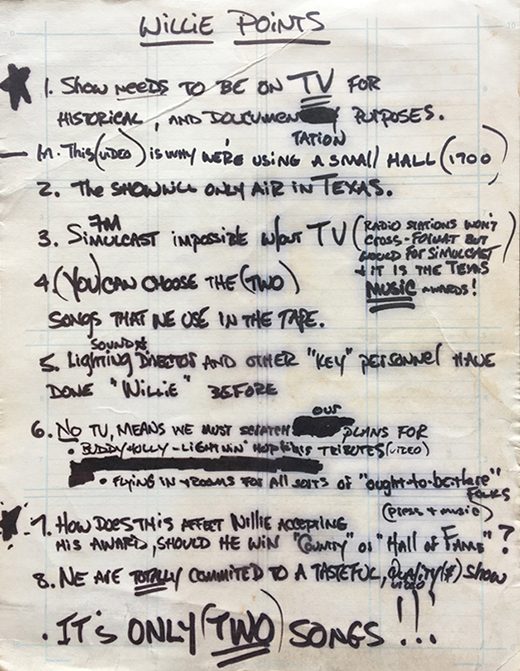 Note: Item signed on Willie Nelson's 2002 US tour at Billy Bob's Texas in Ft. Worth Texas. 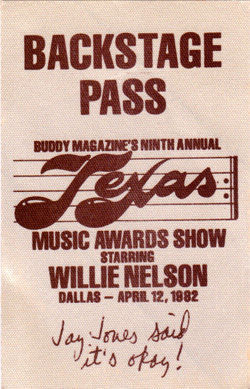 Description: Vintage April 12, 1982 Buddy Magazine Ninth Annual Texas Music Award Backstage Pass Featuring Willie Nelson. Item intact and in VG+ condition. 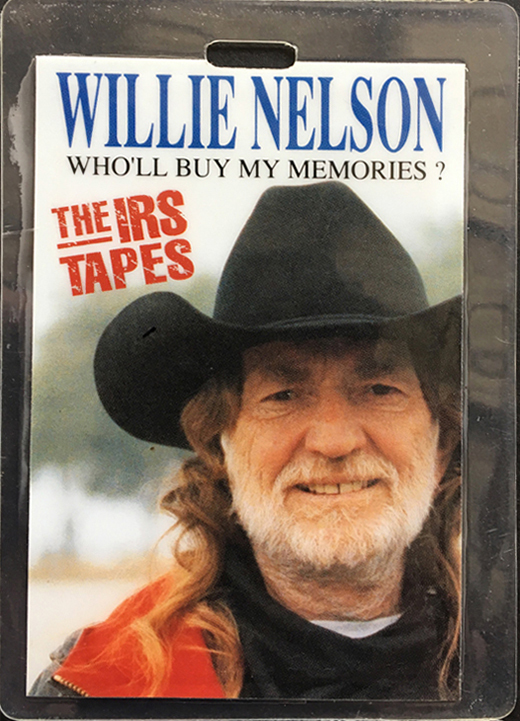 Description: Willie Nelson The IRS Tapes 1992 Tour Laminate. Item intact and in VG+ condition. 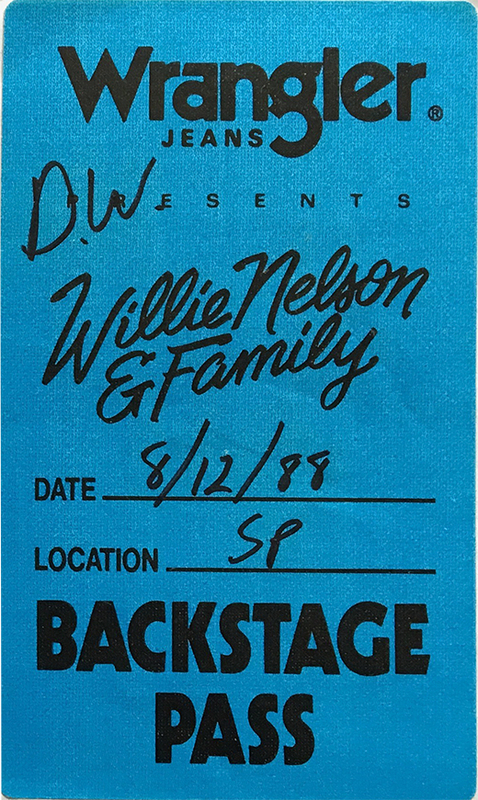 Description: Willie Nelson & Family 1988 Backstage Pass. Item intact and in VG condition. 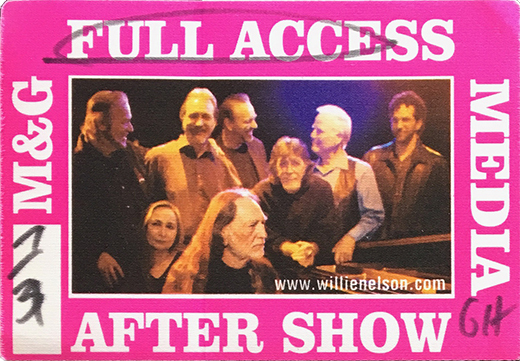 Description: Willie Nelson & Family - 19?? Backstage Pass. Item intact and in VG condition. Description: Willie Nelson & Family - Mini Picnic 19?? Showco Backstage Pass. Item intact and in VG condition. 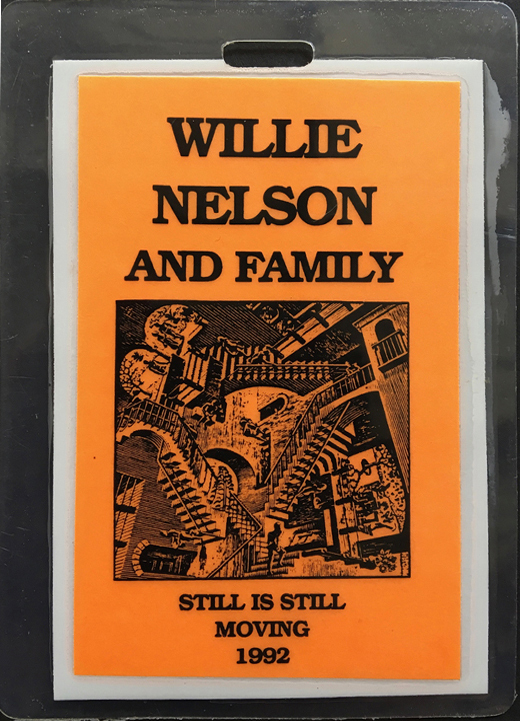 Description: 8x11 BW Willie Nelson 1979 US concert handbill. 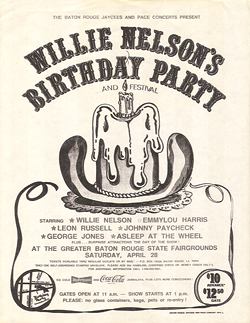 Opening Acts: Leon Russell, Emmylou Harris, George Jones, Johnny Paycheck, Asleep At The Wheel. Description: Vintage Willie Nelson's 1974 Atlantic July Forth Celebration, also known as Willie's 4th of July Picnic. This was the 2nd Annual Patch. Item is original and in near mint condition. 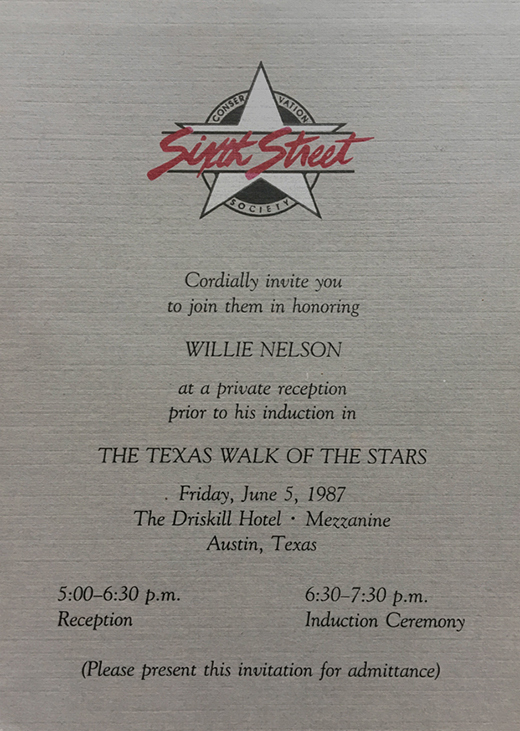 Description: Original Willie Nelson Private Party Invitation 1987 The Texas Walk of The Stars Invitation. Party took place Friday, June 5th, 1987 at The Driskill Hotel in Austin Texas. Size 7x5 Color. Item in Near Condition. Description: Willie Nelson 1982 Music Award Show Points Card. Award Show took place April 12, 1982 at The GreenLefe Hotel in Dallas Texas. Item in VG Condition. Original 8x11 card USED! Ink soaked through the back side. 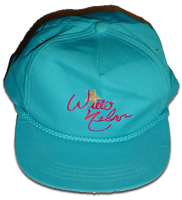 Description: Willie Nelson Tour Baseball Cap. Teal Color. Item in Condition New. Adjustable sizing. Description: Vintage Willie Nelson's 1980 *th Annual Firth Of July Picnic Sticker. Original 4x6 Color. 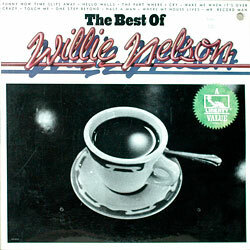 Description: The Best Of Willie Nelson 33 LP. Item in VG+ condition. Sealed Copy. 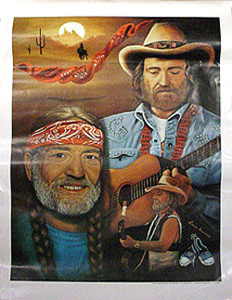 Description: Willie Nelson 1979 Retail Poster. Size 24x34. Item in VG condition. 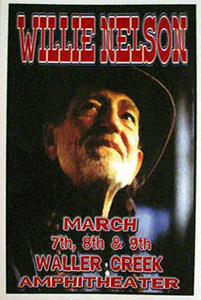 Description: Willie Nelson 2001 Original Concert Poster. Item in mint condition. Size 18x22. 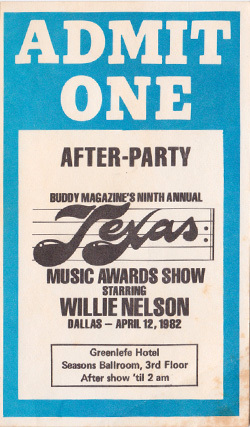 Description: Vintage Unused Ticket April 12, 1982 Buddy Magazine Ninth Annual Texas Music Award After-Party. Featuring Willie Nelson. Item intact and in VG+ condition. Description: Willie Nelson - 1978 Arrowhead KY Ticket Stub. Not really sure what city. 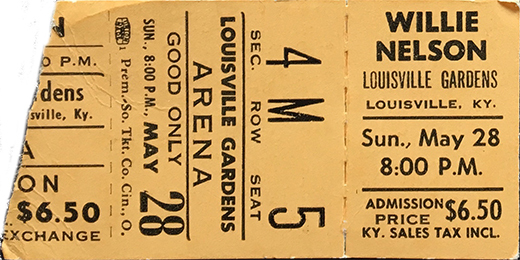 Description: Willie Nelson May 28, 1978 Lousiville Gardens Arena Ticket Stub. 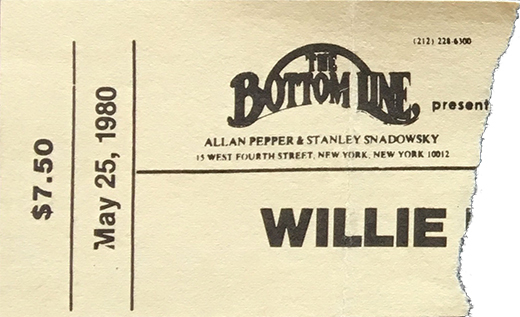 Description: Willie Nelson - May 25, 1980 Bottom Line - NYC Ticket Stub. Description: Willie Nelson ??? 5, 1982 Ector Country Coliseum Odessa, TX Ticket Stub. 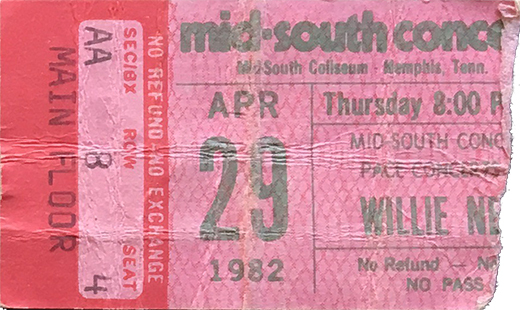 Description: Willie Nelson April 29, 1982 MidSouth Coliseum Memphis, TN Ticket Stub. 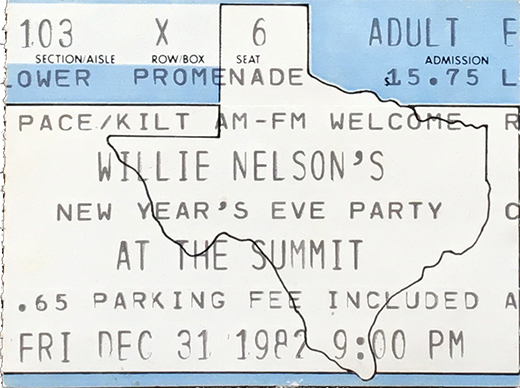 Description: Willie Nelson December 31, 1982 New Years Eeve Concert Summit Arena Houston, TX Ticket Stub. Description: Willie Nelson July 2, 1983 Carrier Dome Syracuse University - NY Ticket Stub. 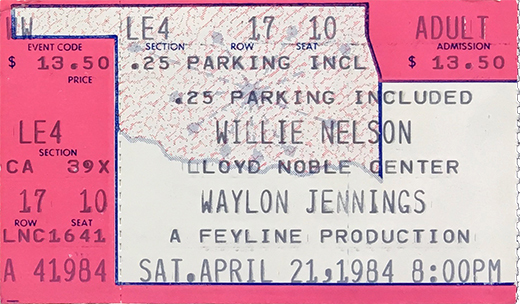 Description: Willie Nelson and Waylon Jennings April 21, 1984 Lloyd Noble Center - OKC Ticket Stub Ticket Stub. Description: Willie Nelson Picnic ??? 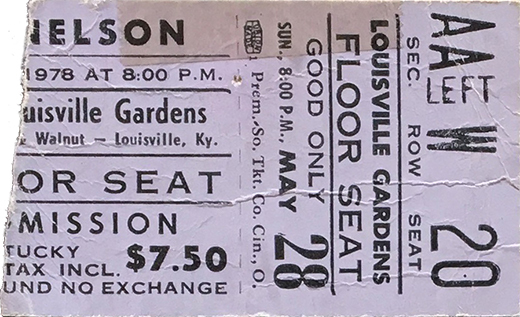 Kansas City, MO Ticket Stub. 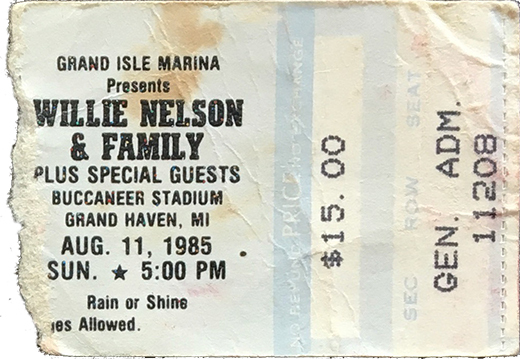 Description: Willie Nelson August 11,1985 Buccaneer Stadium - Grand Haven, MI Ticket Stub. 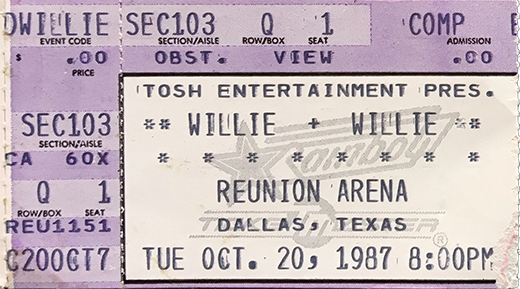 Description: Willie Nelson October 20, 1987 Reunion Arena Dallas, TX Ticket Stub. Description: Willie Nelson - November 30, 1988 Lawlor Events Center Ticket Stub. 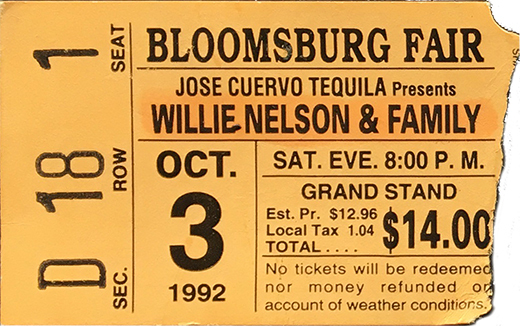 Description: Willie Nelson October 3, 1992 Bloomsburg Fair Ticket Stub. 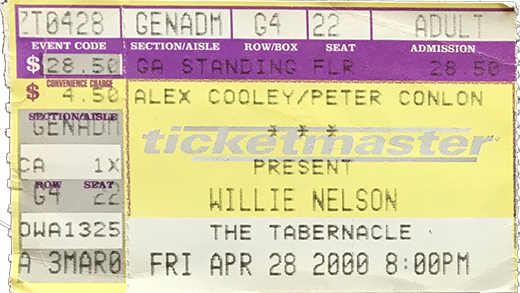 Description: Willie Nelson April 28, 2000 The Tabernacle Ticket Stub. Not really sure what city. 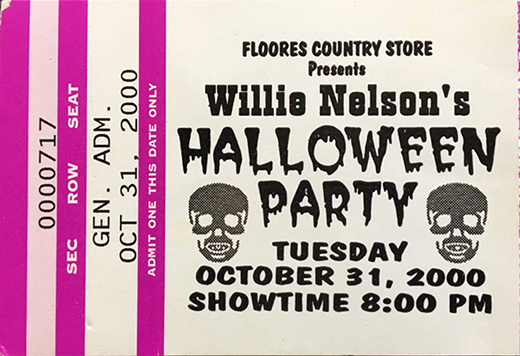 Description: Willie Nelson October 31, 2000 Halloween Party Ticket Stub. Not really sure what city or venue. 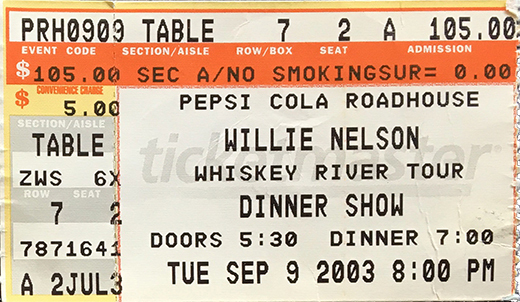 Description: Willie Nelson September 9, 2003 Whiskey River Tour Pepsi Cola Roadhouse Ticket Stub. Not really sure what city. Description: Willie Nelson July 4, 2014 Billy Bob's Texas - Fort Worth, TX Ticket Stub.